Anita has a Masters in Counselling and Human Services from La Trobe University, a Masters in Social Work from Federation University and a Graduate Certificate in Bereavement Counselling from the Australian Centre for Grief and Bereavement, with whom she currently works as a trainer and assessor. She is a Certified Bereavement Practitioner, a registered educator and clinical supervisor. She is training to be a supervisor for Lifeline. She has experience with individuals using face-to-face, telephone and Skype sessions. Amongst her areas of specialisation are grief and bereavement counselling with specific expertise in Complicated Grief Therapy (CGT). 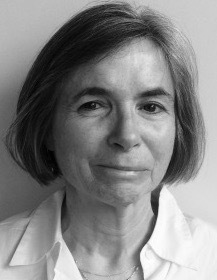 She trained in CGT with Dr M. Katherine Shear, at the Centre for Complicated Grief, Columbia University in New York. She was there for 3 months in 2016, which provided her with a unique learning experience and higher level of familiarity using this protocol. She is also trained in Dynamic Interpersonal Therapy, a 16-session protocol for anxiety and depression. This is an efficacious treatment widely practised in the National Health Service in the United Kingdom. She is a member of the Australian Counselling Association (ACA), PACFA, AASW and the Loss and Grief Practitioners’ Association.